Our private, 18-hole executive golf course presents 4,012 yards for a par of 62. Natural beauty, tree-lined fairways, and challenging greens make this course enjoyable for golfers of all abilities. And – Members of the community golf free! Join one of our leagues, participate in the community golf tournaments, improve your skills on the chipping/putting greens and enjoy open golf on this tranquil course. Generous fairways reward well placed shots and beautiful scenery helps to distract you from all of the other ones. Click on the pictures below to see an enlarged image of our scorecard. Stop in and see what's new in the Pro Shop this season! Located in the Welcome Center, the Pro Shop sells golf apparel for men and women as well as a variety of golf merchandise. Proceeds from sales benefit Carefree Country Club. Installed in 2011, this beautiful pool facility features a heated swimming pool, lanes for lap swimming, hot tub, heated children's wading pool, and a hydro-powered lift for members and guests with physical needs. Join a water aerobics class or just spend the day relaxing at the pool. 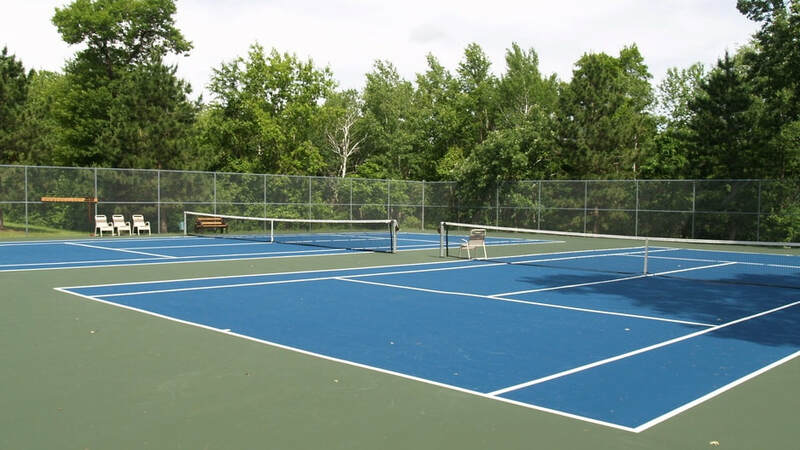 Most mornings you will find members on Carefree's tennis courts. Play in the tennis league (rotation tennis – easy for all levels of play) or play during open times. The Club House features a large gathering room, lending library, conference room and has Wi-Fi access. This is the site for regularly scheduled card games and can also be rented for private parties such as family reunions. The lower level features a coin-operated laundry, game room, and is a storm shelter in case of inclement weather. The Activity Building is the site for many of Carefree's activities such as aerobics, trivia, community breakfasts and golf tournament awards dinners. The building houses a full commercial kitchen and can be rented for private parties. The Welcome Center is staffed by office personnel during scheduled hours. Members stop by to ask questions, sign up for activities, and purchase golf passes for guests. 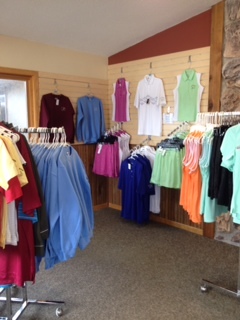 The Welcome Center features a Pro-Shop which sells a variety of apparel and merchandise. Adjacent to the Welcome Center is our property resales office. The lower level of the Welcome Center features a meeting room that is also used as a storm shelter in case of inclement weather.